ClearBags Exclusive Slip-In Mats have been designed to bring high-quality presentation mats at an affordable price to the market. 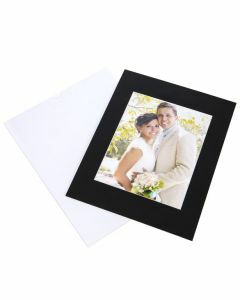 These mats are made with Crescent 4-ply mat board and feature the opening at the top. A thumb notch design allows prints to be loaded and unloaded with ease. Available in 2 stock sizes in either white or black. All Slip-In Mats are acid-free and feature a white core.